If you missed yesterday's post about my old covers for Lancaster House and The Middle Aisle, click here. I love when a book grabs my attention right off the bat and throws me something that whets my appetite and keeps me reading. I try to put this aspect in all of my books. I love when a book so fully engrosses me that I forget everything else. For example, in the movie Titanic, I was so totally absorbed in the romance, I completely forgot they were on the Titanic. The trick is to make the audience/reader forget about the danger—and then sock it to ‘em! Five, and then ten tense minutes passed wherein she tried desperately to comfort the voiceless entity whose life may very well hang in the balance. Distant sirens wailing. Heavy footsteps. Muffled phone noises. 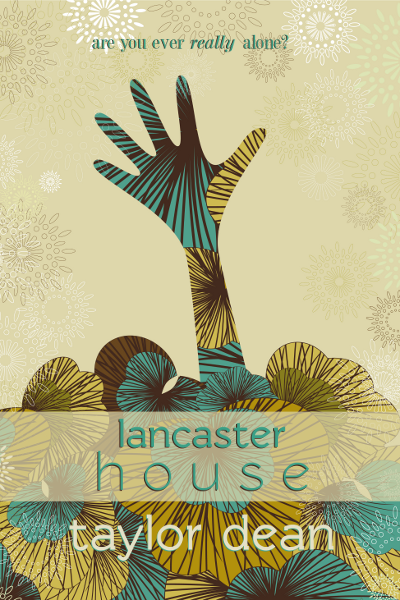 Besides wanting to know what is going on in the above prologue, Lancaster House leaves you with an overwhelming desire to know: Is Zoe crazy or isn’t she? Is Zoe imagining everything or is it all real? You’ll have to read Lancaster House to find out! Enjoy!